Here’s the court case that could put student loan bankruptcy discharge before the Supremes. A 57-year-old who financed a master’s in business administration and a law degree with student debt that now exceeds $250,000 has to pay that money back — even though he’s declared bankruptcy, is unemployed, and has moved back in with his mom. That’s what the U.S. Court of Appeals for the Seventh Circuit ruled this summer, in affirming a bankruptcy court decision that Mark Warren Tetzlaff’s debt to Educational Credit Management Corp. couldn’t be discharged because he hadn’t made a good faith effort to repay it. Now Tetzlaff wants to take his case all the way up to the Supreme Court, and he may have a shot — not because the Supremes sympathize with his plight, but because the nation’s appellate courts can’t seem to agree on what Congress meant when it rewrote the bankruptcy code to make it harder to wriggle out of student loan debt. In rewriting the bankruptcy code, lawmakers said that to get out from under student loan debt in court, borrowers would have to prove “undue hardship.” But they left the term undefined. Based in Chicago and covering Illinois, Indiana and Wisconsin, the Seventh Circuit has adopted a strict interpretation of undue hardship, involving the “Brunner test.” To pass the Brunner test, student debtors filing for bankruptcy have to show they’ve made a good faith effort to repay their debt, but are now experiencing some kind of long-term problem — such as a serious illness or disability — that would make repaying their loan an undue hardship. Many bankruptcy judges don’t think much of the Brunner test, but it’s the law of the land in nine of 11 appellate courts. If the Supremes see a constitutional issue — Tetzlaff’s lawyer calls the Brunner test an “unforgiving and strict requirement with no rational connection to the statutory text” — borrowers may eventually get more consistent, if not lenient, treatment from bankruptcy judges across the land. 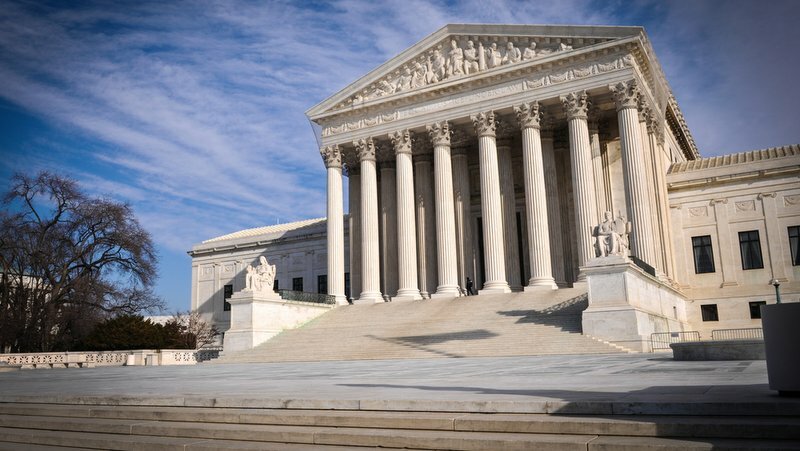 If the Supremes pass on Tetlaff’s petition, there’s always the case of Robert E. Murphy, a 65-year-old former manufacturing executive who says he’s never going to pay off more than $246,000 in student loans he took out to put his kids through college because he’s been out of work for 13 years. Murphy is still arguing his case in Boston before the First Circuit Court of Appeals, and a decision for or against him could also be ripe for appeal. Editor’s note: This story has been updated to correct that nine circuit courts of appeal — the second, third, fourth, fifth, sixth, seventh, ninth, tenth and eleventh — employ a strict definition of “undue hardship” known as the “Brunner test.” Source: July 7, 2015 Department of Education memo.